Susie Keef Smith was seeking escape from a troubled home life and the havoc of childhood polio when she and her cousin, Lula Mae Graves, set out to photograph the last of the prospectors, burro packers and stage stops in the remote desert east of California’s Salton Sea. They traveled by burro, foot and Ford though sandy washes and roadless canyons, armed with a .38 revolver and a large format camera. While making postcards for the PO spinner rack, the women were remade in the wilderness and wound up creating an unparalleled portrait of one of the lesser-known deserts in the West. Susie’s photos were nearly lost to history when–upon her death–they were tossed out by a county administrator. A savvy archaeologist jumped into a dumpster and rescued many of the photos you see here. This book presents portraits of a mysterious land along with the story of its heroic chroniclers, self-taught documentary photographers of the 1920s and ’30s. Photographs by Susie Keef Smith and Lula Mae Graves will be on display at the La Quinta Museum January 15–May 11, 2019. The opening reception is January 24, 2019 from 5-7 pm. Also on display will be desert landscape paintings by the book’s co-editor (Lula Mae Graves’ grandson) Warner Graves III. Postcards from Mecca: The California Desert Photographs of Susie Keef Smith and Lula Mae Graves, 1916-1936 is available from the Mojave Desert Heritage and Cultural Association and on Amazon. Warner V. Graves III grew up hearing stories about his grandmother’s adventures in the desert with her friend, Susie Smith. His grandparents owned an ocotillo-fenced home near Corn Springs and Warner visited the oasis as a child. As an adult Warner became a decorative artist in the Bay Area–painting interior murals in private residences and commercial spaces–but has today returned to the land of his grandmother. As a desert landscape painter, he revisits the places his grandmother photographed nearly 100 years ago. Many of Warner Graves’ paintings have their origin in the story of Susie and Lula and their idyllic years in the desert. Ann Japenga is a Palm Springs-based writer specializing in stories about the California desert and the West. As a staff writer for the Los Angeles Times she roamed the West and discovered a love of stories tied to the land. Her work has appeared in publications including the New York Times, Utne, Sierra, Palm Springs Life and the Los Angeles Times Magazine, as well as anthologies such as True Tales of the Mojave. She is the founder of the online magazine www.CaliforniaDesertArt.com. Buford Crites spent 30 years as a Professor of Communication at College of the Desert, and 20 years as a council member for the City of Palm Desert. He and Russell Kaldenberg write about Corn Springs, where Crites returns each Christmas season to decorate the gravestones of prospectors Gus Lederer and Tommy Jones. Chris S. Ervin assisted with the Susie Keef Smith photo collection. He is Archivist and Librarian for the Santa Barbara Trust for Historic Preservation and has managed the Publications Program for the Mojave Desert Heritage and Cultural Association since 1999. Russell L. Kaldenberg, co-author of the chapter on Corn Springs, is an archaeologist who spent 32 years in federal service including five years in the Palm Springs area where he was the public lands manager for the Bureau of Land Management. His job took him to incredible places throughout eastern Riverside County, including Corn Springs. Steve Lech is a native Riversider who has been interested in the local history of Riverside County for more than 40 years. He has written ten books on various topics related to Riverside County history. 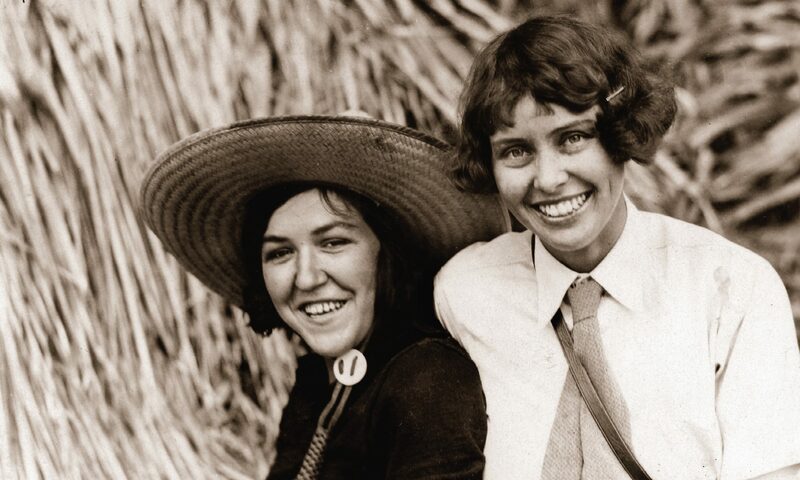 In Lech’s essay, he discusses Susie and Lula’s postcards in the context of better-known postcard photographers Stephen Willard and Burton Frasher. Ronald V. May, RPA is President and co-founder of Legacy 106 Inc. in San Diego. Since 1968, May has been involved in a broad spectrum of historic, archaeological, and general environmental studies in California and northern Baja California, Mexico. May writes about his rescue of the Susie Keef Smith collection from a dumpster. Robert B. Smith Smith’s 20 years of researching and writing articles and books on Idyllwild and its surroundings have made him the area’s leading local historian. Susie Keef Smith was his father’s cousin. Smith writes about his personal acquaintance with “Cousin Susie”. 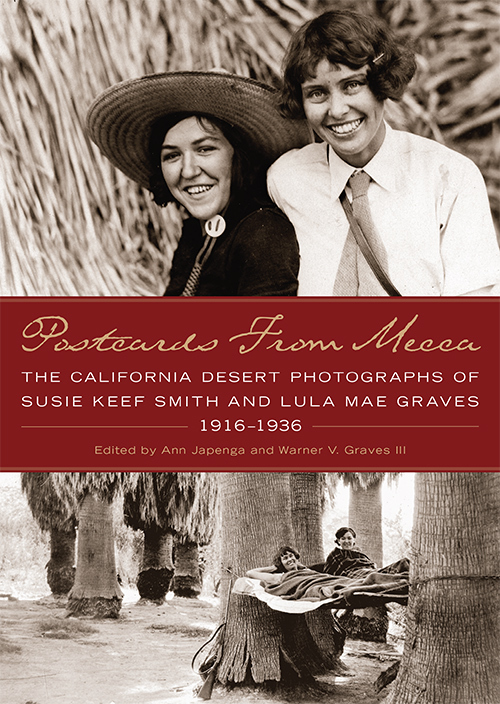 Postcards From Mecca is published by the Mojave Desert Heritage and Cultural Association in Goffs, California. The mission of the Association is to research and conserve the natural and cultural history of the Mojave Desert region for the purpose of preserving and sharing these resources in perpetuity. The MDHCA operates a research center, library, and archives as well as restoring significant structures, conserving historic open space, interpreting backcountry trails and producing educational guidebooks and historical publications. Copyright © 2018 Postcards from Mecca. All rights reserved.